VIBES: THE LIST OF 2017 AFRIMA NOMINEES WILL SHOCK YOU. ARE AWARDS CREDIBLE? 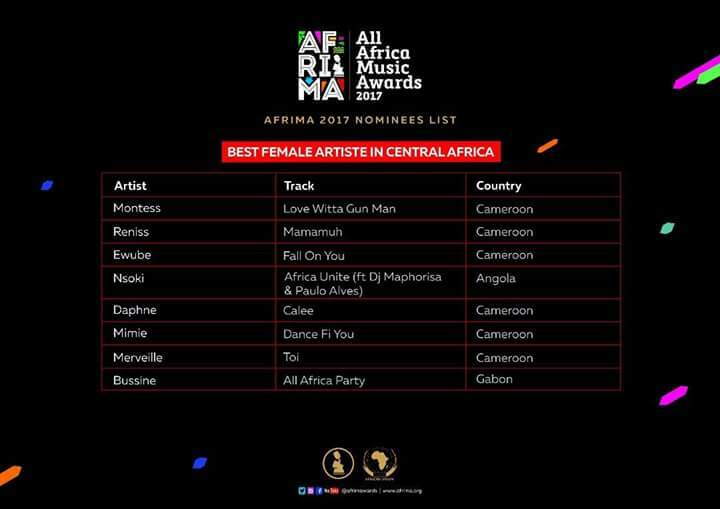 Afrima (All Africa Music Awards) jury just churned out the list of nominees on the official Facebook page and Cameroon is dominantly represented in the Best Central African Artist categories . 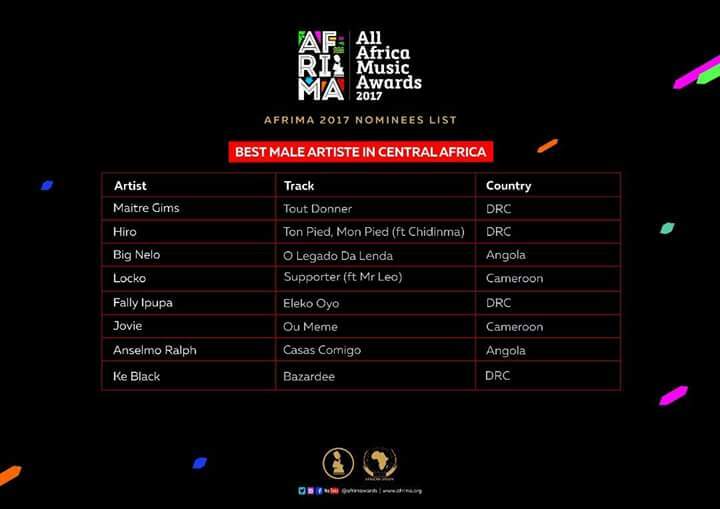 Locko and Jovi were nominated in the Best Male Central African artist category while Reggae Dancehall sensation Ewube ( Fall 4 u) , Daphne (Calee) , Mimie, Reniss (Manamuh), Merveille, Montess (In luv wit a gunman) mount the pedestal in the Best Female Central African artist category. 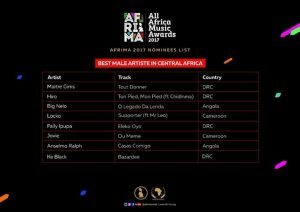 The dust is yet to settle after Magasco’s name was erased from the list of nominees at AFRIMMA and substituted with Mr Leo and we are now facing another devastating blunder. The second successive nomination of Montess with the same song “In love wit a gunman” for this year’s edition of the award stirs up controversy and submerges us into a doubt of its credibility. It’s quite evident that the judges are not meticulous in their selection , thus rendering the award debatable.